Since DesignerMark was formed, in November 2001, the landscape of the internet has changed almost beyond recognition, with social media and Mobile Apps being the way things are currently moving. Even with the ever increasing options available, DesignerMark still keeps it simple for you to understand and will advise you toward the best answer for your requirements. DesignerMark is proud to have been at the cutting edge of these developments for the last ten years, and still excited to see what the future still holds! Looking to the future, DesignerApps can now develop mobile 'applications',bringing you affordable and novel ideas to keep your business at the forefront of internet marketing - and several steps ahead of your competition. After 12 years of progress and continued success for DesignerMark... what will your next move be? 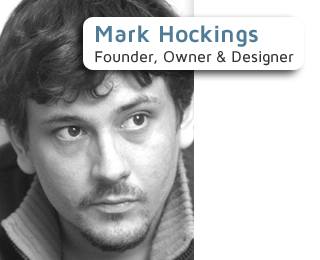 DesignerMark was set-up in November 2001 as a freelance name for me, Mark Hockings. 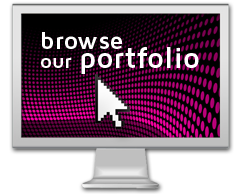 Born in 1975 - I have worked in the the graphics, print and web industry since 1994 and am fully qualified, graduating with an HND in Graphic Design from Salisbury College after a total of 4 years of higher education study in the specific field of Graphic Design. I cover the South West from Salisbury to Plymouth, including the surrouding areas and cities such as Exeter, Torquay, Taunton, Dorchester, Warminster, Chippenham, Devizes, Trowbridge, Southampton, Shaftesbury, Bournemouth, Winchester etc. I also have a number of clients I work with remotely within Europe, so distance is not a major issue with most projects. I work from my home office but can drive to meet clients and am able to actively and quickly respond to any queries by email, Telephone or Skype. 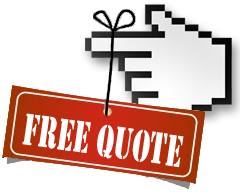 Feel free to contact us for a chat! Design is a powerful tool - used correctly it can maximise your selling opportunities, tell your viewers lots of information and create a good impression - all in the blink of an eye! All of my design hinges on these principles - and my desire for good design has driven me to start DesignerMark. If you would like to know more about my experience you can download my CV.